WASHINGTON (AP) — The White House announced nominees for six senior Pentagon jobs on Thursday, including a longtime Boeing Co. executive for deputy secretary of defense, moving to fill out Defense Secretary Jim Mattis’ new team. President Donald Trump has struggled to fill top Defense Department positions. Mattis is the only administration nominee to be confirmed at the Pentagon. Until Thursday, the administration had only announced four other nominees; two of those later withdrew. Trump’s pick for deputy secretary is Patrick M. Shanahan. The latest manifestation of Mattis’ struggle came earlier this week when he abandoned an effort to get White House approval for his choice of policy chief, Anne W. Patterson, a career diplomat who was opposed by some Senate Republicans. The White House’s nominees list Thursday didn’t include a new policy chief, but it did name a deputy policy chief. A Pentagon spokesman, Navy Capt. Jeff Davis, said Mattis recommended all six of the nominees to the White House. Each requires Senate confirmation. As deputy secretary of defense, Shanahan would succeed Robert Work, a former Marine and Obama administration holdover. Work is the only senior Pentagon official from the prior administration still in place, although others have been performing the duties of senior officials in the absence of Trump nominees. Shanahan moved up through the management ranks at Boeing over a career that began in 1986. The Puget Sound Business Journal called him a Boeing “fix-it” man in a March 2016 report on Shanahan’s promotion to his current position. He oversees the company’s global supply chain strategies and use of advanced manufacturing technologies. Shanahan was a central to getting the 787 Dreamliner on track after production problems in the program’s early years, the report said. Boeing’s website says Shanahan is a member of the company’s executive council, reporting directly to the chairman and president, Dennis Mullenburg. 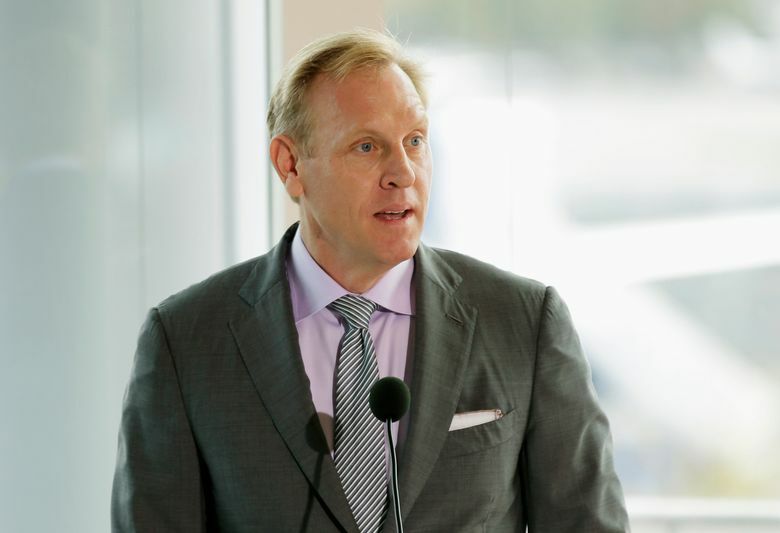 Shanahan previously was senior vice president of airplane programs from 2008 to 2016 and vice president and general manager of Boeing Missile Defense Systems. A Washington state native, Shanahan is currently chairman of the University of Washington’s Board of Regents. He holds a bachelor of science degree in mechanical engineering from the University of Washington and two advanced degrees from the Massachusetts Institute of Technology. David Joel Trachtenberg, nominated for the No. 2 policy job, is president of Shortwave Consulting, a national security consulting firm. He has held several Pentagon positions, including principal deputy assistant secretary for international security policy responsible for NATO, Europe, Russia and Eurasia issues. He penned a December 2015 commentary saying the Obama administration failed to adapt to a changing reality with Russia following its annexation of Crimea, incursions into eastern Ukraine, and more aggressive military exercises. “Despite Moscow’s clear shift toward a more threatening nuclear posture, U.S. policy remains stuck in the mud of unrealistic and outdated assumptions,” Trachtenberg wrote. Elissa Slotkin, who was acting assistant secretary of defense for international security affairs for the final two years of the Obama administration, said Trachtenberg was a member of Trump’s Pentagon transition team and was viewed as holding mainstream Republic views on national security issues. “We were happy to have him on the transition team because he reflected an experienced foreign policy perspective, in contrast to President Trump,” she said in a telephone interview. —David L. Norquist, a partner with accounting firm Kearney and Co., as budget chief. —Elaine McCusker, currently director of resources and analysis at U.S. Central Command headquarters at McDill Air Force Base in Florida, as deputy budget chief. Mattis knows her from his years as commander of Central Command. —Robert Daigle as director of Cost Assessment and Program Evaluation, which provides the secretary of defense with independent analysis of major acquisition programs. He served in that office during President George W. Bush’s administration. —Kenneth P. Rapuano as assistant secretary of defense for homeland defense. He is senior vice president at ANSER Corp., which describes itself as a not-for-profit research institute with emphasis on national security and homeland defense.